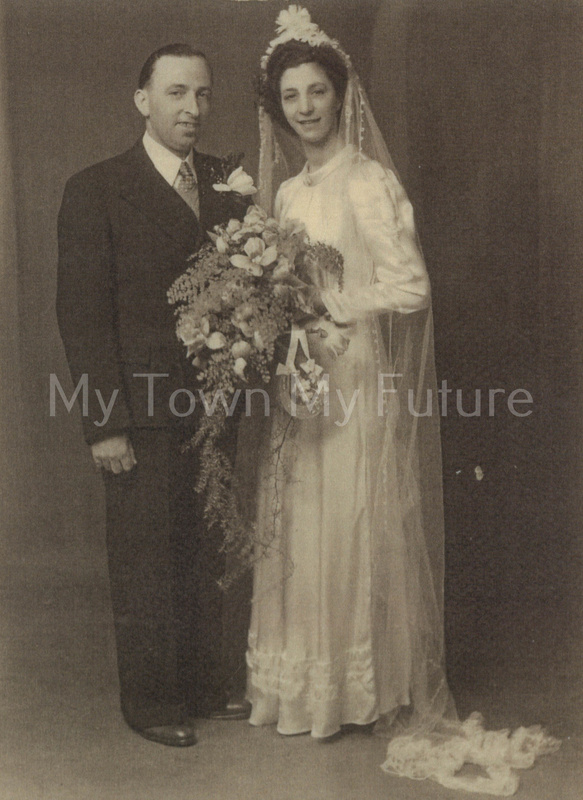 This is Sarah McMillan’s grandfather, Giovanni Yafano, his niece, Florence Agar (née Croce), and her husband, Stanley Agar, at their wedding circa 1940s. They were married at St Mary’s Cathedral “over the border”. Florence is second generation Italian. 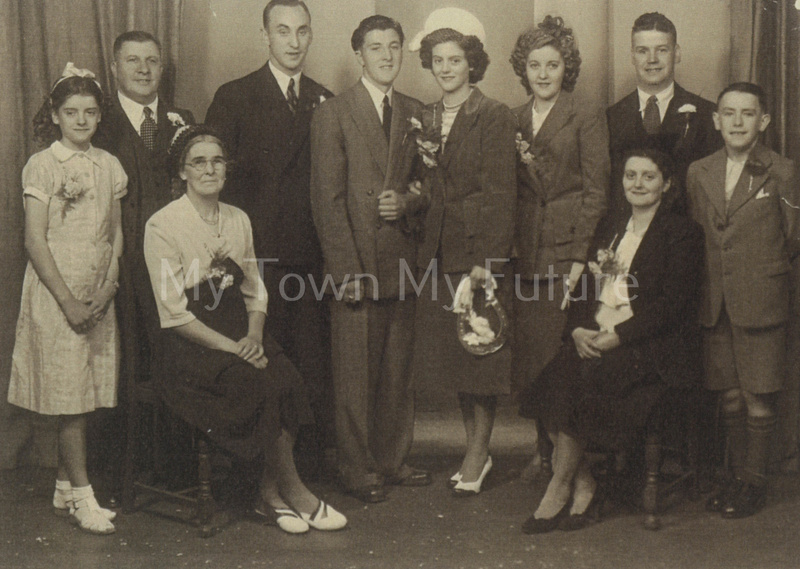 Wedding between the Yafano and Robinson families circa 1940s. Second man on the left, Great-Uncle Nicola Yafano (known as Uncle Nikki), Giovanni Yafano’s brother. The groom, Antony Yafano, is Uncle Nikki’s son. The bride is Gwen Robinson. They were married in Middlesbrough. 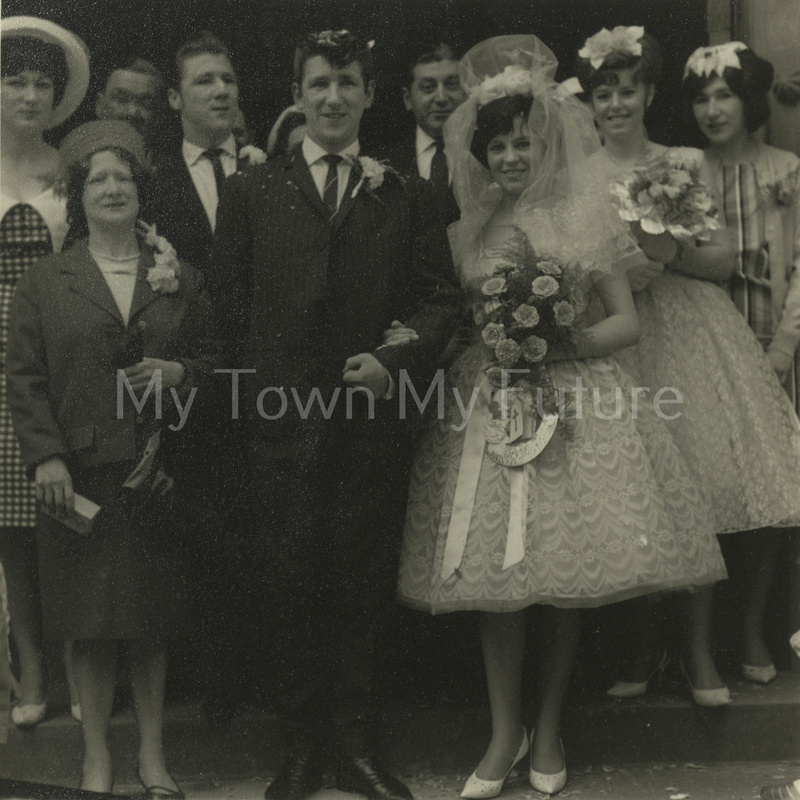 This is Christine Robinson (née Yafano) and Kenneth Robinson’s wedding in the 1960s. They were married at “The Cathedral”. Back row left to right: Lilian Robinson; Joseph Robinson, bridegroom’s father; unknown – hidden man; lady behind – unknown; grandfather, Giovanni Yafano, bride’s father; unknown; bridesmaid, Maureen Johnson, bride’s best friend; Edna Robinson, bridegroom’s sister; Margaret Robinson, bridegroom’s mother. The bride and groom are Sarah McMillan’s aunt and uncle. 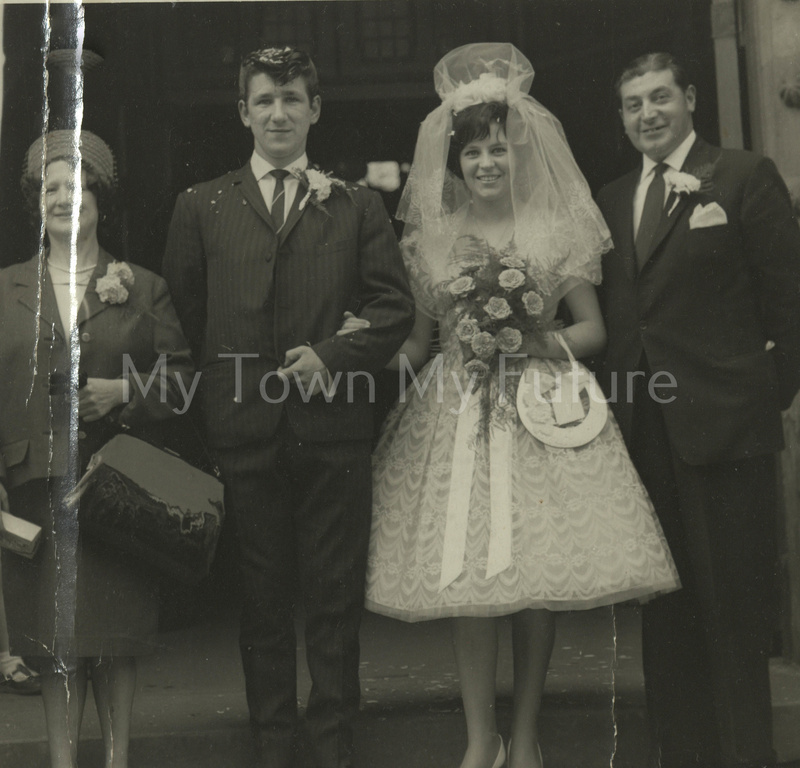 Bridegroom’s mother, Margaret Robinson; groom, Kenneth Robinson, and the bride, Christine Robinson (née Yafano); grandfather, Giovanni Yafano, bride’s father.